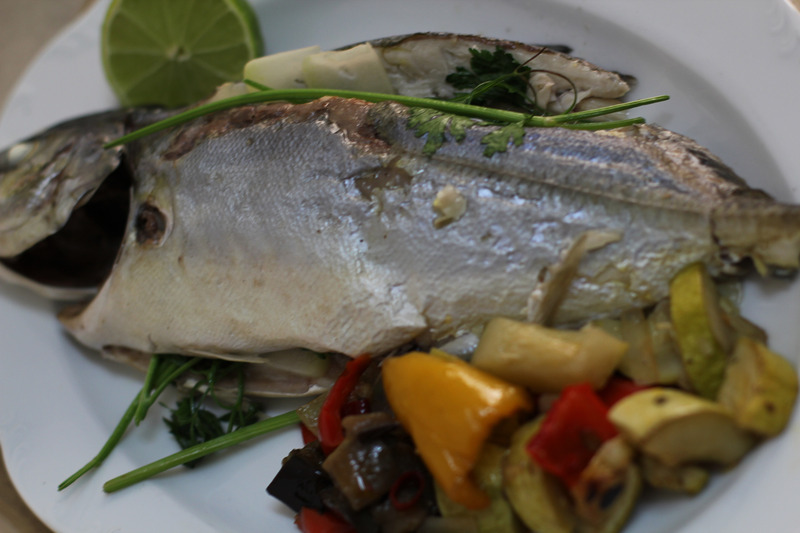 Many people say that they are scared to cook fish as they don’t know where to start. I find this way works with most fish with delectable results. Score the flesh in a line parallel to the dorsal fin. Stuff this crevice and other cavities with garlic and herbs such as parsley or mint. 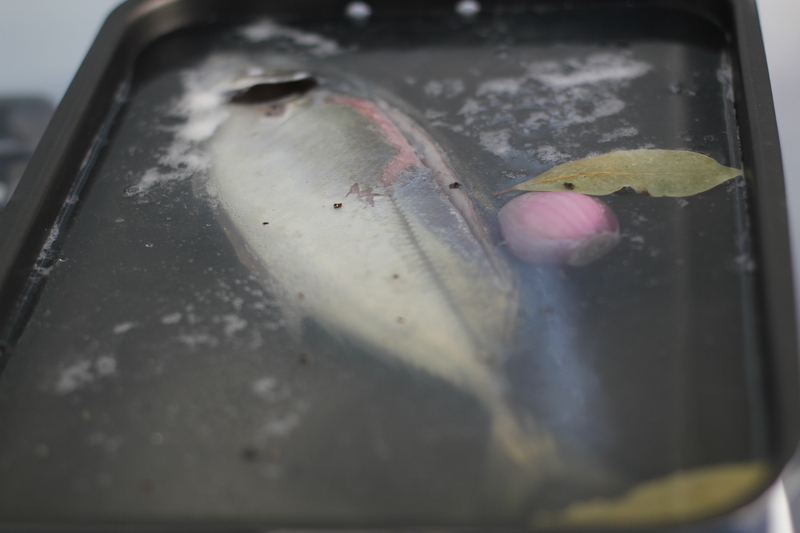 Place fish in a roasting pan and cover with water. Add a bay leaf, an onion and two peppercorns. Bring to the boil and turn off. Leave to rest for five minutes. To chech if it’s cooked see if it comes off the bone easily. This is where the score on the back comes in handy. You can serve like this or you can brown it under a hot grill or oven. With the roast Mediterranean vegetables. Mmm!